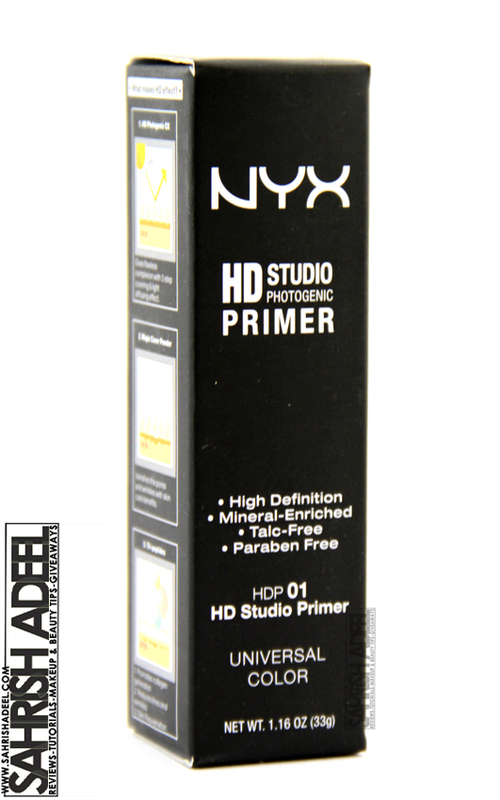 NYX's HD Studio Photogenic Primer - Review & Swatch! | Sahrish Adeel - Malaysia based Pakistani Beauty & Lifestyle Blogger! NYX's HD Studio Photogenic Primer - Review & Swatch! I knew that a face primer gives good results in makeup application but I never knew my 'makeup life' was incomplete without one. If you are trying too hard to get a flawless makeup finish then stop doing that and see how you can get better results without giving yourself and your skin a hard time. The product comes in a box and the bottle is made up of plastic. 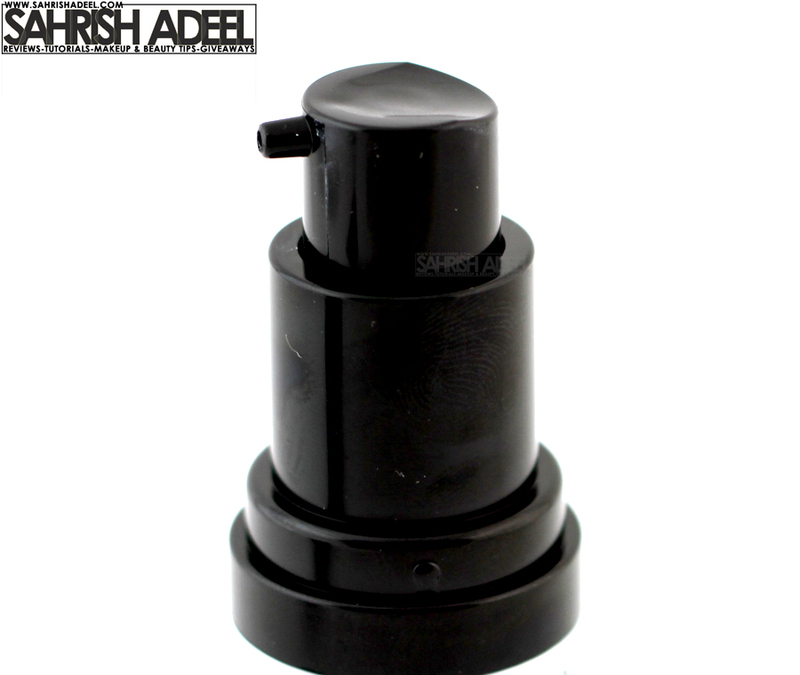 It has a pump system to bring up the product, which is really hygienic. Each bottle contains 33g of product. This product was sent to me by Blanc II Noir and it was securely packed in a box with packing material. Blends easily and works well with fingers or brush. Makes skin smoother by minimizing pores, fine lines and smoothing out the uneven skin. 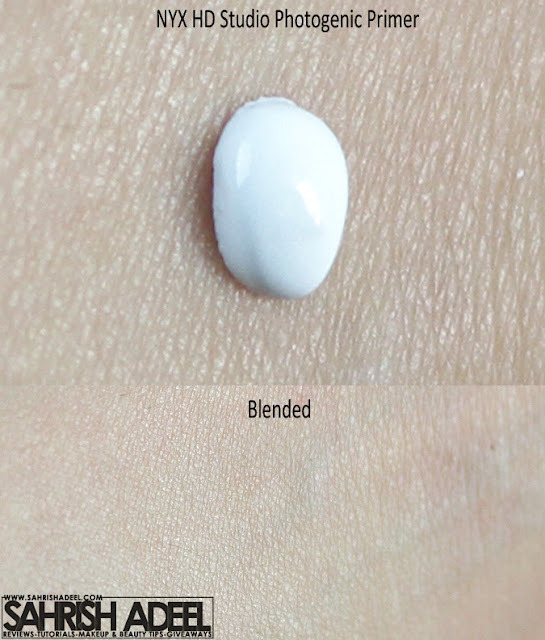 Foundation application and blending become easy over this primer. Makeup stays put longer than usual if used over this primer. Keeps skin shine free for longer hours even if used under liquid foundation (tries on oily skin). Keeps makeup in place even after excessive sweating. Pump system makes it hygienic and mess free. I did not find anything negative about this product. Having oily skin makes it really hard to keep the makeup in place for longer hours. Above that, the weather here in Malaysia in humid and warm throughout the year. My first preference is always a liquid foundation but I noticed that most of the times I ended up with toned down makeup for a dinner or something, if I use a liquid foundation in this weather. Recently I tried this HD Studio Photogenic Primer by NYX and my-o-my, why on earth have I never used a face primer before? 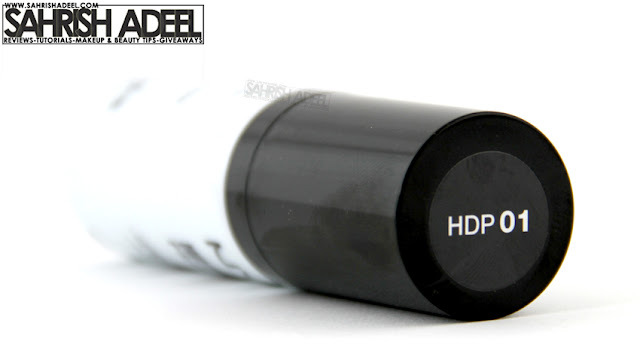 This primer gives a really smooth finish to the skin and makeup sticks to the skin better now. Usually, I apply and blend it with my fingers and leave it for about 3-5 minutes so it sinks better into the skin. Meanwhile, I do the eyes and then move to the foundation. As you can see in the swatch, it is white and has a blue undertone. If blended well and not over applied, it gives a slight whitish finish but that gets covered up perfectly even if a sheer coverage foundation is applied. That might be a problem for people with dark skin tone but I have no idea about that. I had two experiences with this product in the past which really helped me with the review. I used it under my everyday makeup and went to an outdoor B.B.Q party, literally no fans and really hot weather that everyone was sweating badly. I kept dabbing my face with tissue papers and I thought most of my makeup came off. But when I came back home after like 4-5 hours, my makeup was still there. 90% of foundation and contouring in place and even the blush was not toned down too much. Moreover, it kind of controlled the shine. 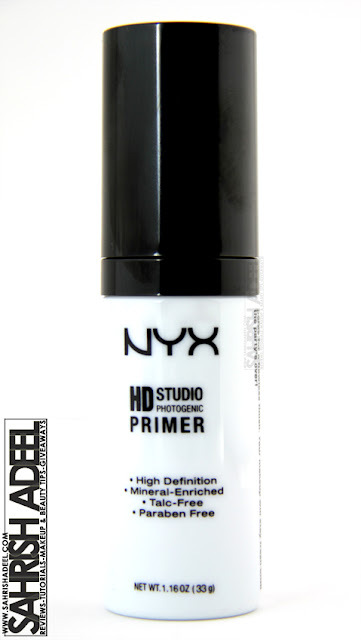 I recently did makeup of a model for a video shoot and used this primer. The shoot was in day time and mostly outdoor. I kept my makeup kit with me all the time but I didn't have to touch up the makeup at all. It really kept model's face shine free and even the highlighter stayed in place. These two experiences have made me its huge fan. I don't use it on regular basis though, as I try to keep my makeup minimal but I make sure to use it if I am going out to an outdoor activity where I need my face to look smooth for long time =P. When I used this primer the very first time, I dabbed it all over my face in small dots and then started blending. But as soon as I was done with my forehead, I saw it kind of drying on rest of my face. So now, I take small amount on back of my hand and apply/blend it in small sections on my face. I also never use a moisturizer under my face primer but I think moisturizer will be needed if you have dry skin type. One thing is really important to remember, never overdo the product. If you will overdo it, your skin will feel breathless and warm. I have noticed a few prominent pores around my nose area and this primer really makes them smooth. Overall, I am in love with this primer. I cannot compare it with any other face primer as I have never used one before and maybe there will be more face primers with better results. But for now, this one is doing an amazing job without giving me any breakouts and hard times at all. By 'hard times' I mean, a product which you apply on your face and the second you go out, your face starts to feel hotter than any other body part and you start sweating excessively. I am sure some of you have had that experience with a foundation, didn't you? People who are looking for an affordable and good quality face primer should definitely try this one. And as it worked great for my oily skin, it should work for people with oily and combination skin as well. BlancIINoir - They sell is for $11 & they ship worldwide. NYX's official website - They sell it for $15 & they ship to US only. Enhanced Beauty - They sell it for PKR 1800 & they ship to Pakistan only. What do you think of this primer? For reviews on other products by NYX, click here. Disclaimer: PR sample sent for review consideration. My opinions are unbiased and honest for my readers. For more details, read Disclaimer.